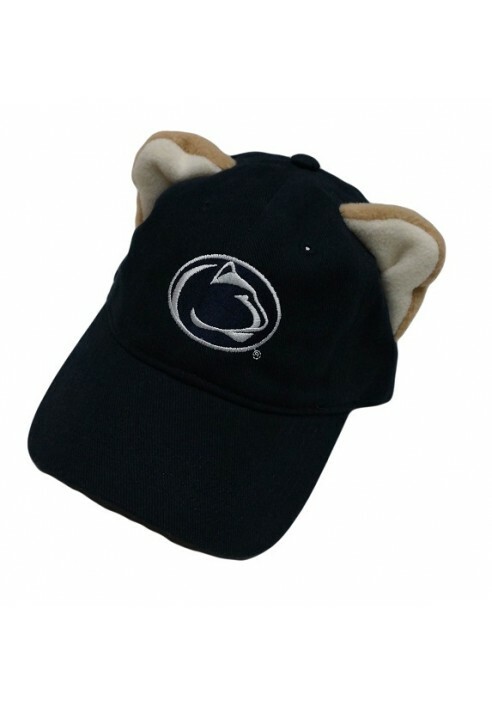 • Lion ears on top of cap. • Embroidered logo on front. • Adjustable tuck away fabric strap with metal clasp.